The Major League Baseball playoff bracket has been narrowed down to just four teams — the Dodgers, Brewers, Astros and Red Sox — and so, too, are the fields narrowing in the playoffs for the Professional Fighters League’s inaugural campaign. Finalists have already been identified for the featherweight, lightweight, light heavyweight and heavyweight divisions. 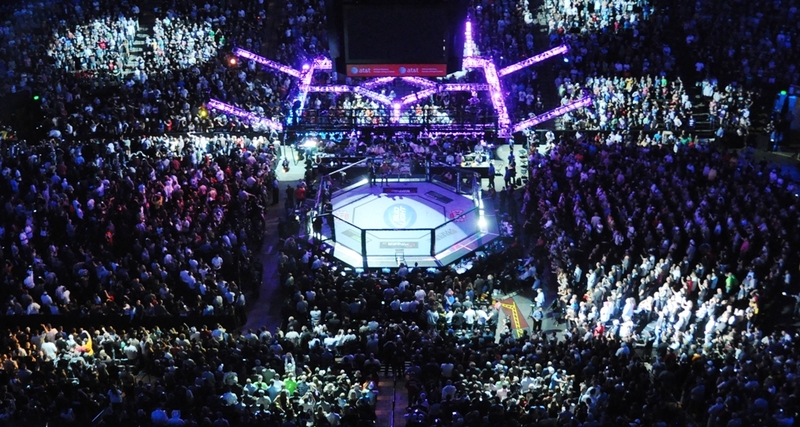 On Oct. 20, the PFL will host the quarterfinal and semifinal rounds of the welterweight and middleweight tournaments. 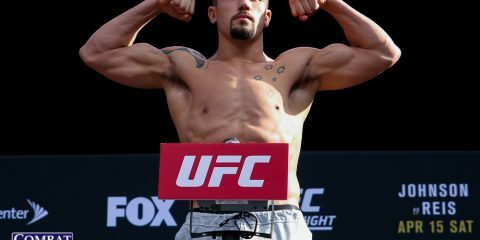 The welterweight field is yet another group that’s heavy on UFC talent, and perhaps includes the most notable names among UFC veterans. Jake Shields and Rick Story, of course, headline this group, which also includes João Zeferino and Bojan Velickovic. Top seed Ray Cooper heads up the non-UFC contingent, which also features Handesson Ferreira, Magomed Magomedkerimov and Pavel Kusch. Can Cooper continue his surprising run, or will this bracket go to the former UFC stars? Meanwhile, the middleweight set only includes three faces that will be familiar to UFC fans. Gasan Umalatov, Bruno Santos and John Howard have all graced the inside of the Octagon at some point in their careers. They’re joined by fellow 185-pounders Abusupiyan Magomedov, Sadibou Sy, Shamil Gamzatov, Louis Taylor and Rex Harris. This field has the chance to produce at least one new star for the PFL. The first portion of the card airs live on Facebook Watch at 6:30 p.m. ET. The remaining quarterfinal bouts and the entire semifinal round air live on NBC Sports at 9 p.m. ET. Is Ray Cooper for real? It sure seems that way, doesn’t it? Cooper edged out fellow welterweight tourney participant João Zeferino for the top spot in the regular-season standings. The 25-year-old stunned the world with his July TKO finish of the highly accomplished Jake Shields and then decimated Pavel Kusch via strikes in just 18 seconds. That’s a convincing pair of victories, including one over a very established veteran. Cooper does already have five career losses on his resume, though. This includes a defeat on the scorecards against fellow tourney fighter Handesson Ferreira outside of the PFL in 2017. 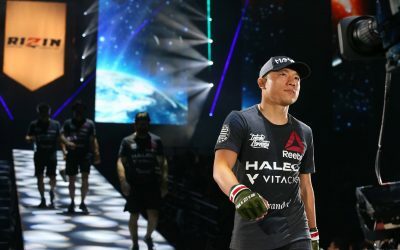 He was also submitted by Jun Yong Park, a fighter who was barely above the .500 mark, in a PXC fight earlier that same year. His other three losses, however, came very early in his pro run. 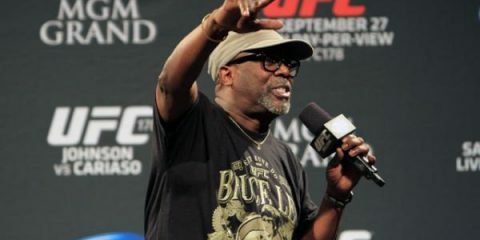 Yet, prior to his big win over Shields, Cooper’s biggest boasts included a submission of Dave Mazany, a 27-second TKO of Strikeforce and EliteXC vet David Douglas, and a knockout of “Krazy Horse” Charles Bennett. The pressure is on for Cooper now. He has a rematch with Shields up first, but this is a horrible stylistic match-up for Shields. 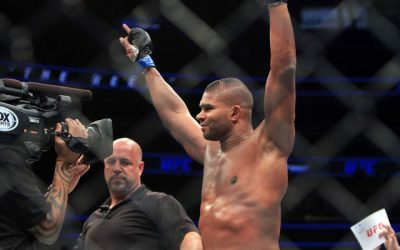 Cooper wasn’t afraid to go to the ground with the UFC vet in their first encounter, and he handled himself admirably while avoiding the former Strikeforce champion’s submission attempts. Cooper also stuffed plenty of takedowns from Shields while scoring takedowns of his own. Then, there’s Cooper’s striking game, which Shields rightfully wants no part of whatsoever. Cooper is capable of destroying Shields on the feet, but he can hang with the 39-year-old grappling whiz on the mat. 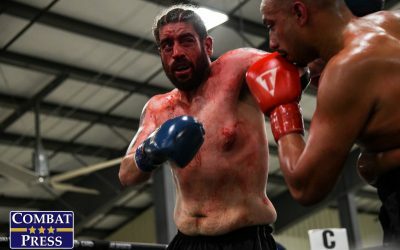 This is a recipe for disaster for Shields, whose only PFL regular-season win came against Herman Terrado, who didn’t qualify for the postseason. Shields is just 2-3 and appears to be well into his decline as a top fighter. Cooper should be able to further bolster his reputation with another victory here. In the semifinals, he’ll be faced with either Rick Story or the aforementioned Ferreira. Either man presents far more danger to Cooper than Shields seemingly would. Regardless of how he fares in his second fight of the night, Cooper should convince fans that he’s a dangerous up-and-comer with a second knockout of Shields. 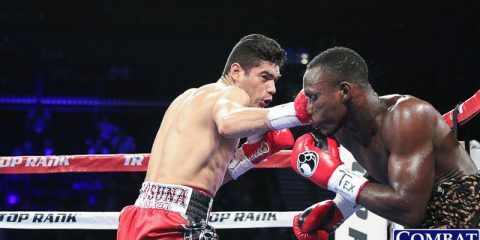 Is Shamil Gamzatov the runaway favorite in the middleweight bracket? 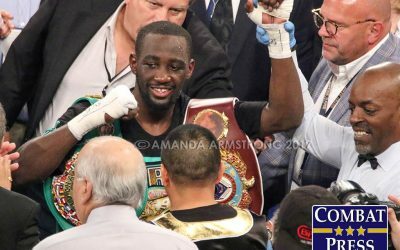 It might be a reach to call him a “runaway favorite,” but his undefeated mark as a pro fighter and his recent stretch of victories over solid opponents have to put him near the top of the list in this 185-pound field. 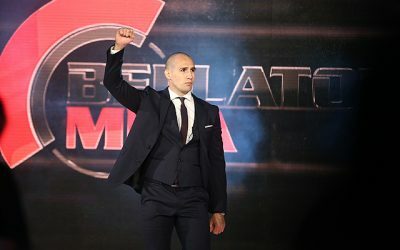 The 28-year-old Russian entered the PFL regular season on the heels of a split-decision victory over UFC veteran Rodney Wallace. 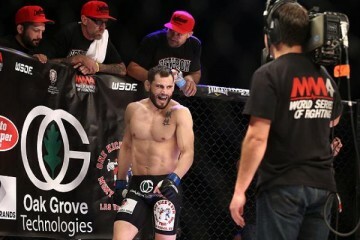 He then topped UFC castoff Eddie Gordon and World Series of Fighting regular Rex Harris by decision. Unfortunately, his method of victory in both fights garnered him just six total points toward the standings. This left him trailing Abusupiyan Magomedov and Louis Taylor. Magomedov’s top ranking is misleading — both of his first-round finishes in the regular season came against fighters who didn’t make the playoffs — but there’s a decent chance that he makes it at least as far as the semifinals. Gamzatov’s biggest threat, however, is probably the aforementioned Taylor. 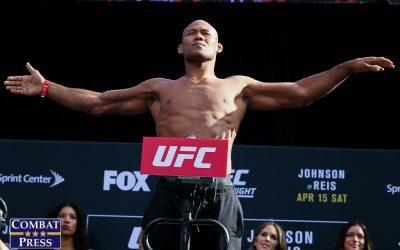 The 39-year-old has developed into a sneaky-good fighter whose only recent loss came against former WSOF two-division champion Dave Branch. Gamzatov is in for some good tests in this tournament. UFC veteran John Howard is a tough but clearly beatable quarterfinal opponent. The aforementioned Harris already went the distance with the Russian, and Taylor is certainly no slouch either. There’s no guarantee that Gamzatov can clear all of these hurdles, but it’s highly likely. This should be a night that establishes Gamzatov as a grinding force in the PFL’s middleweight division. In the welterweight bracket, Ray Cooper will have his hands full in the semifinal round. Handesson Ferreira has already decisioned Cooper once, and the Brazilian has only suffered one career loss, which came to UFC veteran William Macário. 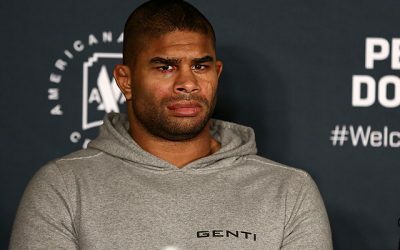 Meanwhile, Ferreira’s quarterfinal opponent is Rick Story, a former UFC fighter who once scored six straight wins inside the Octagon and departed the promotion when he had a three-fight winning streak snapped by a loss to Donald Cerrone. Story is a very hard out, and it’s likely that he’ll handle Ferreira and then engage in a complete war with Cooper. It might be enough to overwhelm the young upstart and send Story to the finals. On the other side of the 170-pound bracket, it’s difficult to deny João Zeferino as the favorite. His quarterfinal opponent is UFC castoff Bojan Velickovic, who is in a 2-4 rough patch and won just one of his regular-season PFL outings. Zeferino has demonstrated some inconsistency and had a recent 1-3 patch of his own, but the Brazilian also landed the No. 2 seed in this tournament and has looked strong so far in his PFL tenure. If he gets past Velickovic, Zeferino will be tasked with eliminating either Magomed Magomedkerimov or Pavel Kusch, both of whom have struggled against high-level competition. When it comes to the middleweights, Bruno Santos appears to have a favorable path to the finals. The UFC castoff decisioned fellow tourney participants John Howard and Sadibou Sy during the regular season, and he claimed a verdict over Rex Harris in a 2017 PFL fight. Santos should be able to repeat his performance against Sy, which would line him up for a semifinal bout against the winner of the contest between Abusupiyan Magomedov and Gasan Umalatov. Regardless of whether it’s Magomedov or Umalatov, Santos, whose only career losses came inside the Octagon against Krzysztof Jotko and Elias Theodorou, should overcome the challenge and advance yet again. On the other side of the bracket, Shamil Gamzatov will continue his habit of grinding out opponents when he meets John Howard. This sets the Russian up for a semifinal tilt with either Louis Taylor or Rex Harris. 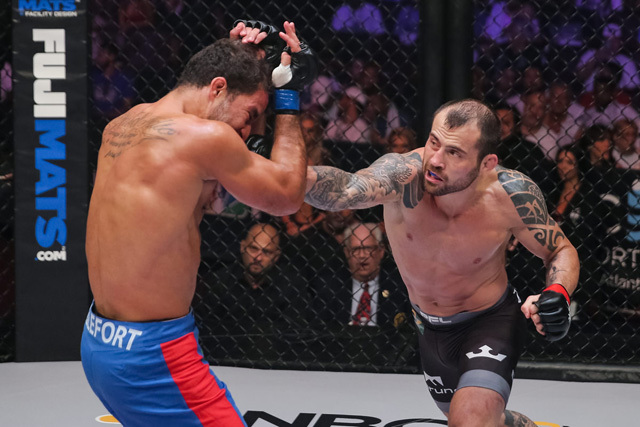 The 35-year-old Harris handled himself well in a three-fight run under the WSOF banner, but he hasn’t fared well against top talent, including Gamzatov. Taylor, who suffered some early career setbacks, should outwork Harris and advance. He’ll have his hands full with Gamzatov, though. It’ll be a competitive semifinal, but Gamzatov should get past Taylor to secure his own spot in the finals.